EquipHotel is the must-attend show for all HORECA decision-makers and specifiers: restaurateurs, hoteliers, architects, designers, investors, managers, consulting firms and installers. It will take place in Paris, France, from the 11th until the 15th of November 2018 at Paris expo Porte de Versailles. It is, not only, an opportunity to develop new business, but also to meet existing customers, build loyalty and answer all their questions face to face. 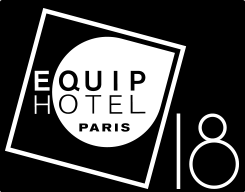 EquipHotel is a hot spot for innovations and is implementing a powerful innovation promotion policy with its INNOV18 competition. This is a perfect opportunity to present new products to the industry’s buyers and specifiers. The 72% of visitors come to the show specifically to get a sneak preview of the latest solution found for each sector and area of the HORECA industry. Mac Group has accompanied many clients that exhibit at this tradeshow by building their stands or corporate event related to it. We work all over the world covering all the services that our clients might need before, during and after the exhibition or congress. We produce all the carpentry pieces for the set up, but we also work with metal, glass and any other kind of material that might be needed to achieve the best finishings for a high-quality stand. We provide the Audiovisual and IT devices and services requested and we also manage with the organization any other issue that might come out during the whole process. We create bespoke architecture as stands but also any kind of structure for a corporate event.